When most people think of "winterizing" their home, they probably consider tips and tricks that will help them save on their heating bill, such as caulking windows, sealing up drafts under doors, or investing in a programmable thermostat. However, there's another important component to winterizing: safety. Not every accident is preventable, but a little bit of preparation can go a long way towards making the winter months as safe as possible. Snow and ice can lead to serious slip and fall injuries. All property owners have a responsibility to keep their property safe, and that includes clearing away dangerous conditions. The rules of snow and ice removal vary based on the type of home you live in (for example, house versus apartment building) and where you live. In Pittsburgh, for example, snow and ice must be cleared from sidewalks and walkways within 24 hours per city ordinance. If snow and ice aren't cleared within that time, you could be cited or fined. However, that doesn't mean that you should wait that long. 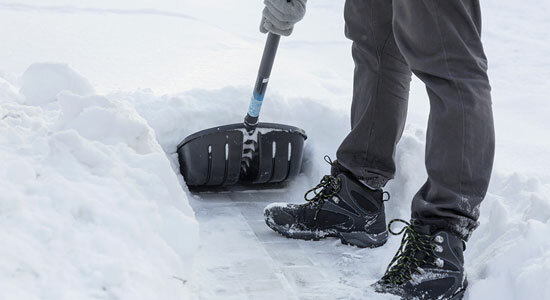 Even though you have 24 hours per the ordinance, you can still be held liable for injuries that occur on your property due to snow and ice if a jury finds that you had a reasonable amount of time to clear the area but that you failed to do so. Space Heaters are a quick and easy way to heat up a room, but they can be very dangerous if they are not used in the right way. Although space heaters are intended to provide homeowners with warmth during cold winter months, according to the National Fire Protection Association, they are the leading cause of fires, resulting in about 25,000 home fires every year. 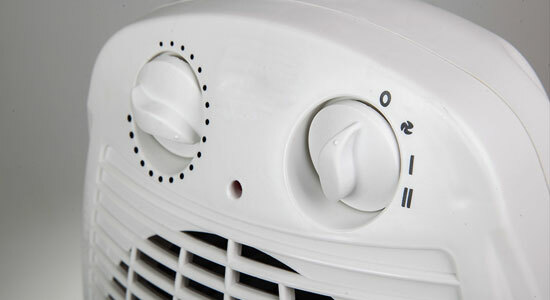 To ensure proper use of your space heater, make sure the one you are using has been safety tested and has important safety features, such as shutting off when it falls over. It is a good idea to invest in newer space heaters to make sure they meet new safety codes. It is also important to make sure the smoke detectors in your home are working correctly so that if anything does go wrong with your space heater, you will know. One of the most important aspects of space heater safety is placement. Space heaters should always be plugged directly into a wall outlet and never into an extension cord. Space heaters should also be put where they cannot be easily reached by children or pets since they can cause serious burns. They should be kept away from furniture items, blankets, curtains and flammable liquids like spray cans and paint. Trees: You might not think of yard maintenance as a winter task, but snow and ice can make trees dangerous. It's a good idea to get your trees trimmed so that the weight of snow and ice doesn't cause them to fall, posing a threat to people and your property. In Pennsylvania, people are responsible for trees and limbs that fall from their property and cause injury or property damage. Stairs and Railings: Stairs and railings in need of repair become accidents waiting to happen during winter months. Outside stairs and railings, especially those made of wood, will not be able to withstand heavy snow and freezing temperatures. You should also make sure that railings aren't loose. The purpose of a railing is to help prevent falls. If someone slips and grabs a loose railing, it could contribute to an accident. Outdoor concrete steps can also crack and flake after being exposed to cold temperatures. Gutters and Downspouts: Not many people think about their gutters and downspouts, but during winter months it is important to make sure gutters and downspouts are cleaned out to ensure proper water flow. If objects are blocking the water from flowing or from exiting the downspout, water can freeze and weigh gutters down, causing them to crack and break. Furthermore, in the winter, clogged gutters can actually do the exact opposite of what they are supposed to do. Instead of channeling water/ice to a safe location to drain away, clogged gutters can leak, drip down on the sidewalk below, and create patches of ice directly where people are supposed to walk. Pour warm water in the opening of the downspout or along its side. Run heating tape or heating cables around downspouts. 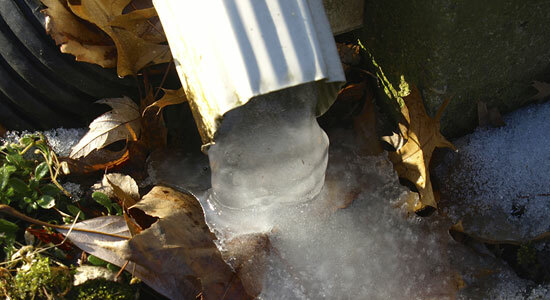 Do not hit gutters or downspouts to get ice flowing, this could create additional damage. Keep these preparation tips in mind as you head into the cold Pennsylvania winter. 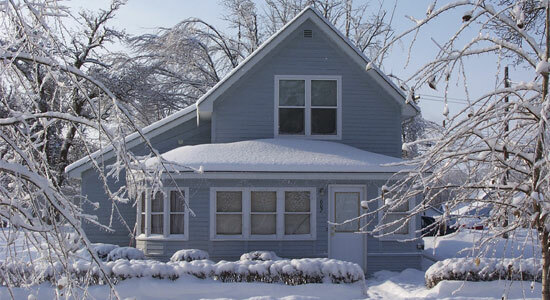 With snow and ice comes the greater risk of injury, so it is important that you take precautions to make sure your home is as safe as possible this winter season. Sources: "Space Heaters." SafeElectricity.org. January 12, 2016. "Frozen Downspouts: What’s Up Doesn't Always Come Down." Del Thebaud. January 12, 2016.